What would you call a man who has accepted a leadership position in the American Government and then repeatedly refused to live up to his oath of office to uphold the Constitution and do the most important job specifically required of him by the Constitution? This includes refusing to act when failure to do so would result in a drastic decrease in the military’s budget during a time of war. His own party’s Secretary of Defense has reportedly pleaded for help in avoiding the stringent cuts resulting from his inaction. Yet, year after year, no action is taken. All to enhance his party’s chances of re-election in November’s elections while knowing his seat is safe for 4 ½ more years. Is he merely inept or incompetent? No, he got the Buffet rule up for a vote in record time. He was the wizard manipulating the scene from behind the curtains that brought us the unconstitutional and widely hated Obamacare. He refused to deliver a budget when his party controlled the House, the Senate and the Presidency with large majorities. No, this goes well beyond incompetence or mere vanity. This deliberate refusal is a direct attack on the Constitution itself. He is saying that he alone can decide whether the budget process of the United States can proceed. A self-serving power play is always contemptuous. But, during a time of war, does this actually rise to the level of treason? We all hope that we as a nation are safe from foreign threats and we rely on our military to protect us by going to far-away places to fight against the latest threats to freedom. Instead of providing these heroes with our best fighting gear and weaponry, we are having to make do with unnecessary constraints resulting from trying to balance the budget on the backs of the military alone. This is a particularly hideous form of insanity. Did I mention that this was happening during a time of war? It is time to turn up the heat on Harry Reid and those other members of the Democratically-controlled Senate that could act at any moment to remove him from his leadership position by simply voting to do so. Those Senators refusing to do so are just as compliant and culpable in their actions as he. Of the Senate leadership, only Senator Harry Reid lives in one of the 18 states that have provisions for recalling Senators. We should begin to work on his recall immediately. No Senator has ever been successfully recalled, but advances in technology have made the rapid collection of signatures merely a matter of money and effort. The engines of social networking have overcome the rules that were thought to be stacked against the people. Senators in states allowing recall elections are now susceptible to being recalled and the People’s will cannot simply be ignored any longer. Senator Inouye, of Hawaii, is safe for now since he was just re-elected and Hawaii doesn’t provide for recall elections. Senator Durbin, of Illinois, is up for election in 2014. We should start making sure that he faces a primary challenge since his state does not provide for a recall election. We should immediately start efforts to allow recall elections in both of these states. The Senate term is six years and that is sufficiently long to allow Senators to become detached and unresponsive to the people they serve. Another front to fight on is to ensure that every Democratic Senator that doesn’t repudiate the current leadership faces a primary challenge. Most Senators feel comfortable and complacent about their continued presence in the government. Let’s make them feel the heat, until they perform their sworn duties as representatives of the people. 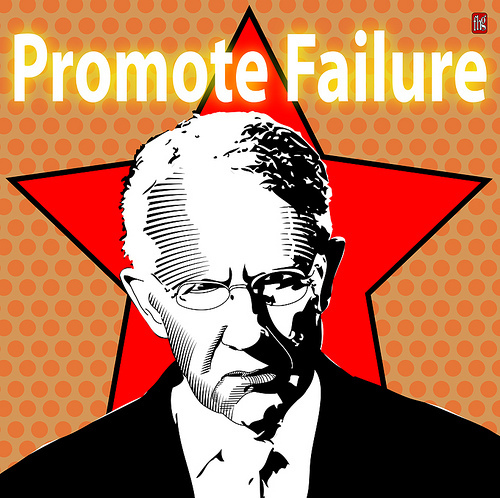 Senator Reid is counting on the lack of focus of the American populace. He doesn’t think we are watching the store. Let’s prove him and the rest of his party’s leadership wrong and restore the budget process to its constitutional underpinnings now. A nation under the Rule of Law cannot afford to allow the lawless to go unpunished—no matter how great their station. For true fairness is not an economic issue as the Buffet Rule would imply, but, instead, is only achieved when the leaders are held accountable to the same standards as those whom they serve.